On March 31, 1890, British physicist and X-ray crystallographer William Lawrence Bragg was born. He discovered the Bragg law of X-ray diffraction, which is basic for the determination of crystal structure and was joint winner (with his father, Sir William Bragg) of the Nobel Prize for Physics in 1915. — Sir Lawrence Bragg, In Daniel J. Kevles, The Physicists (1978), 159, citing interview by David Webster, AIP, p.35. William Lawrence Bragg was the son of Nobel laureate Sir William Henry Bragg, who taught at the University of Adelaide. When the young Bragg broke his arm at the age of five, Wilhelm Conrad Röntgen  was just everywhere in the news with his X-ray experiments and Bragg’s father got himself experimental X-ray equipment as well in order to examine his son’s fracture. This was the very first known surgical use of X-rays in Australia. Bragg’s interest in science evolved very early as well and he was known to be a very eager student. At the age of 16, he enrolled at the University of Adelaide studying mathematics, chemistry, and physics before moving to England along with his family. Bragg joined Trinity College in Cambridge where he was elected to a fellowship in later years. During his active years of research, Bragg became famous for his law on the diffraction of X-rays by crystals. Bragg’s law gives the angles for coherent and incoherent scattering from a crystal lattice. When X-rays are incident on an atom, they make the electronic cloud move as does any electromagnetic wave. The movement of these charges re-radiates waves with the same frequency. This is known as the Rayleigh scattering. Bragg made his discovery while working at Cambridge in 1912 along with his father in response to their discovery that crystalline solids produced surprising patterns of reflected X-rays. The first X-ray spectrometer designed by Sir William Lawrence Bragg (1890-1971), a physicist at Cambridge University. He was the first to show in 1921 that molecular structure could be deduced from the pattern of diffraction of X-rays by a crystal sample. — Sir Lawrence Bragg, In Letter (3 Jun 1929) to Ernest Rutherford, in Royal Society Archives, as quoted in David Phillips, Biographical Memoirs of Fellows of the Royal Society (Nov 1979), 25, 104. 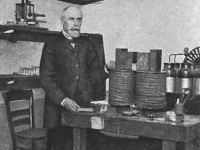 In Leeds, William Henry Bragg developed the X-ray spectrometer. The tool made it possible to analyze various types of crystals. 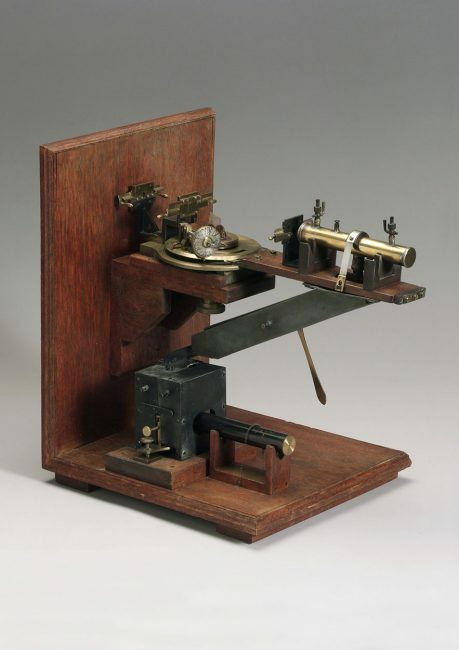 Bragg’s law was first presented on 11 November 1912 to the Cambridge Philosophical Society and was soon known as a very powerful tool for researching crystals in the form of X-ray and neutron diffraction. 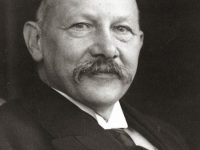 Both, father and son were awarded the Nobel Prize in physics in 1915 for their work. 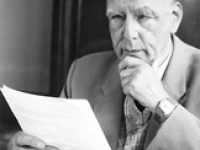 They are the only father-son team to jointly win the Nobel Prize and William Lawrence Bragg was only 25 years old, which made him the youngest laureate so far (2018). Unfortunately, Bragg’s actual research work was interrupted by the first and second World War. During these wars, he scientifically worked on sound ranging methods for locating enemy guns along with further scientists. Bragg was awarded the Military Cross for his achievements and was appointed Officer of the Order of the British Empire. After the war he was Langworthy Professor of Physics at the University of Manchester from 1919 to 1937, and Director of the National Physical Laboratory from 1937 to 1938. From 1938 to 1953 he was Cavendish Professor of Experimental Physics at Cambridge and was knighted in 1941. William Lawrence Bragg died on 1 July 1971 in the hospital of Waldringford near Ipswich. At yovisto academic video search, you may be interested in a short introduction to Bragg’s law and Diffraction by Professor Michael Cima at MIT. 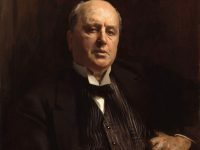 Sir William Henry Bragg and his Work with X-Rays, SciHi Blog, July 2, 2015. Wilhelm Conrad Röntgen and the X-Rays, March 27, 2018. Crick and Watson decipher the DNA, SciHi Blog, February 28, 2018.